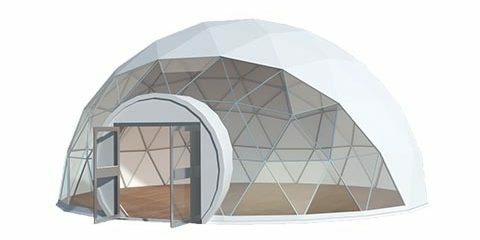 The geo dome tent is one of our best-selling product lines. 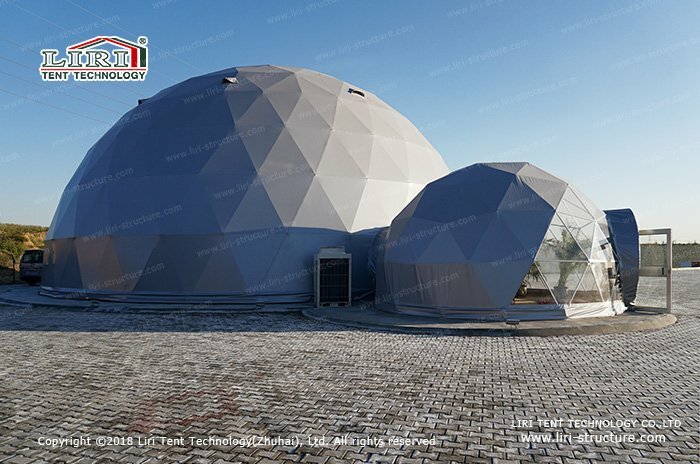 Whether for the business activities, sports domes, dome glamping, or projection domes, our geo dome tents could be used for different solutions to meet these needs. Due to its high-quality structure and design, the geo dome tent could be used throughout the year in different climates. 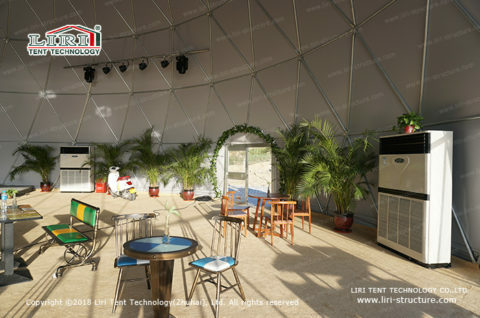 Recently we used the 20m and 6m diameter geo dome tent for the outdoor restaurant. The catering domes adopted the transparent PVC for the front, and these two tents are connected by tunnels. 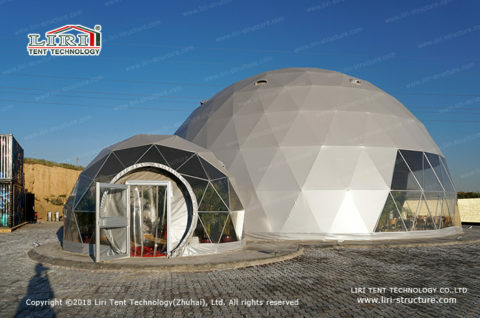 The exterior of the geo dome tent is designed in grey, reflecting different shades under the sun. A light-colored carpet inside the tent creates a warm feeling with the light. 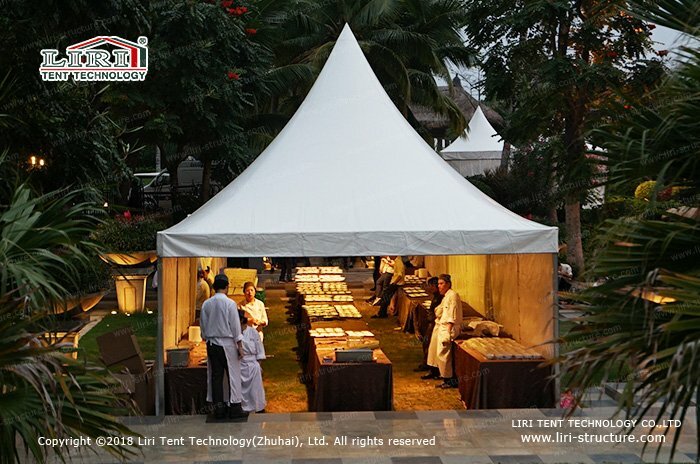 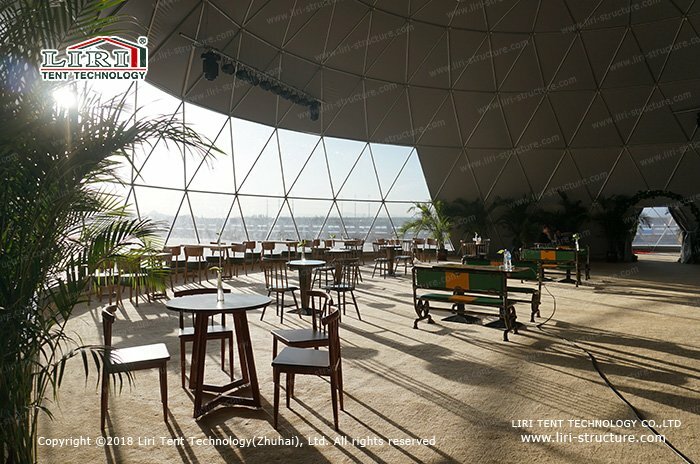 Catering dome is located near the lake, it is perfectly integrated into the natural landscape, dining here is a new experience to away from the hustle and bustle of the city. People could enjoy the beauty and tranquility of nature while enjoying the food in a comfortable environment. 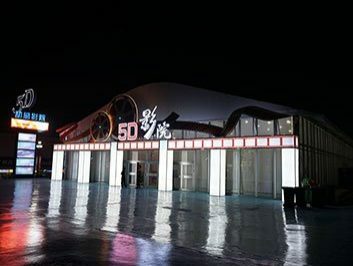 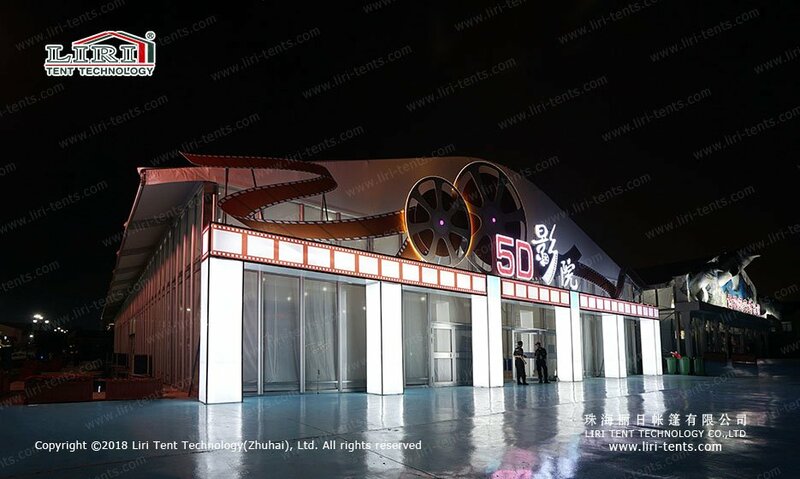 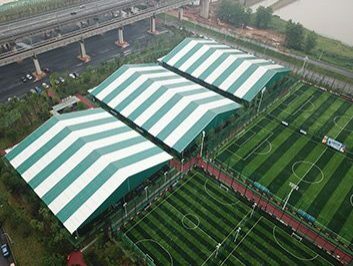 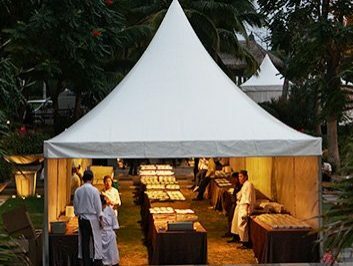 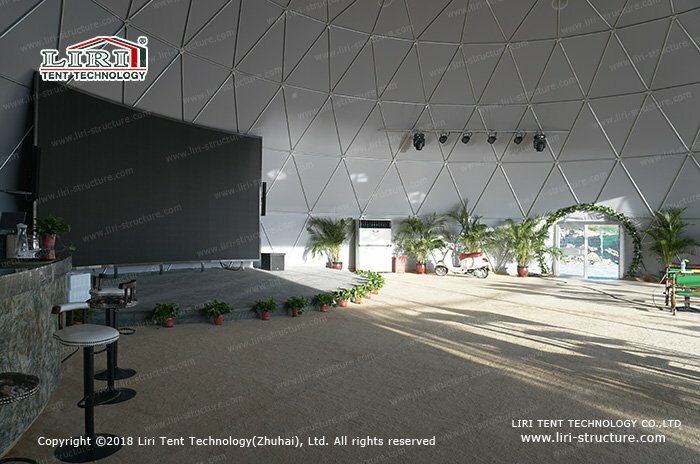 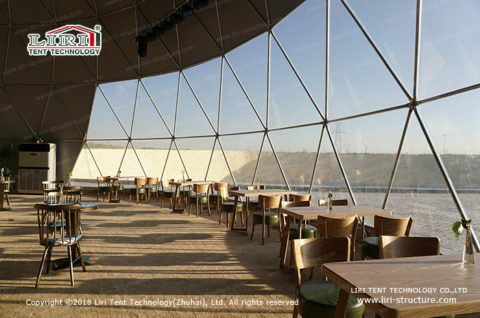 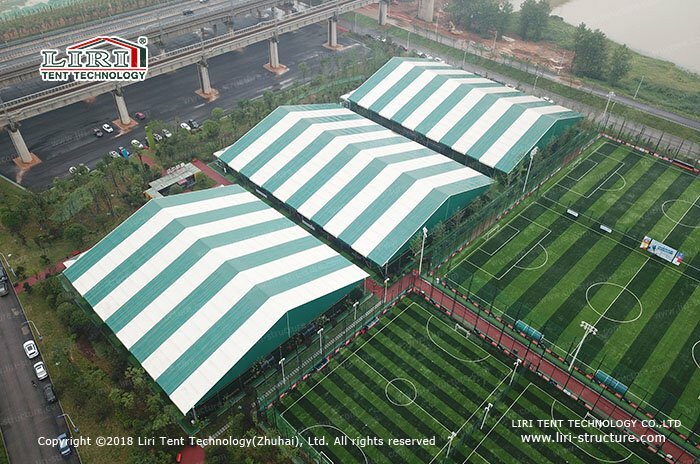 The applicable area of catering dome is 340 square meters, of which the 6m geo dome tent is for restaurant reception area, while for the dining area could accommodate for more than 200 people. The installation of the entire project took only a few days, and the rapid construction and disassembly capabilities saved a lot of construction time. 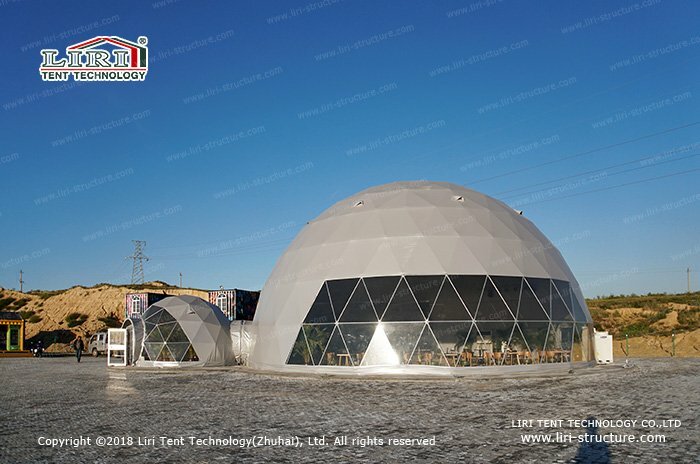 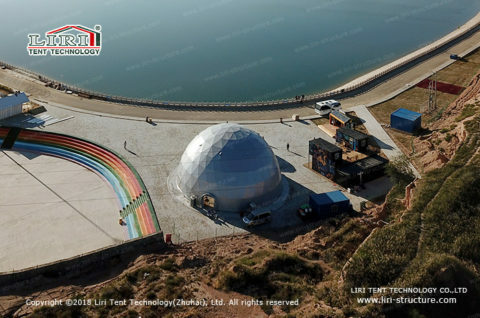 As a professional geo dome tent manufacturer, we offer the perfect solution for different types, welcome to browse our products and start planning your project.